Looking for a polyfilm greenhouse? Find it here. Looking for a polycarbonate greenhouse? Find it here. Greenhouse glazing refers to any material used to cover your greenhouse. We offer a complete line of quality greenhouse covering and greenhouse glazing materials including 6 mil, 4 year greenhouse film, reinforced polyfilm, Polygal polycarbonate, Lexan polycarbonate, corrugated polycarbonate, twinwall polycarbonate, triplewall polycarbonate, Lexan™ Thermoclear™ , Made in America Polycarbonate, and Polycoolite polycarbonate. We offer all of these materials cut to order. 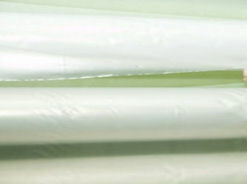 The 6 mil-4 year greenhouse film, and reinforced polyfilm also come in rolls. If you are looking for a greenhouse polyfilm, you should always be sure that it has UV protection. Cheap plastic rolls without the UV will only last one year at best. The film will get brittle and crack. All of the greenhouse coverings that we offer are UV protected. The reinforced polyfilm will be more expensive initially than 6 mil 4 year greenhouse covering, but it will pay off in the long run. The reinforced cords will keep any tears from spreading too far. Be sure to see the picture of the tear with the 45 pound weight hanging from it. It has excellent longevity. 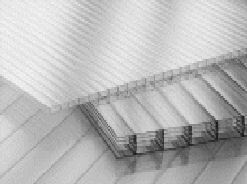 Greca corrugated polycarbonate is an excellent material for greenhouses or other roofing applications. It has all of the excellent qualities of polycarbonate. Twinwall and triplewall polycarbonate have been the most popular glazing choice for hobby greenhouses for years. Its strength and dependability lend to its desirability. It is available in different thicknesses ranging from 6mm to 16mm. The sheets are available in clear, opal or ice, and bronze. We also offer some specialty polycarbonate sheets. 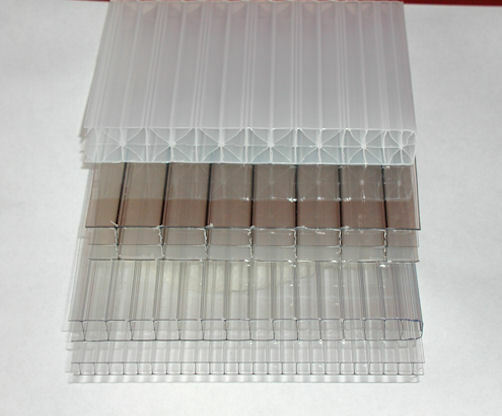 Polycoolite, Polymatte, and Lexan Softlite Thermoclear Plus are all specialty polycarbonate. They all have different features which will help to cut down on heat. For a more detailed explanation of each sheet, please see the individual pages. Polycoolite and Polymatte are manufactured by Polygal. Lexan™ Softlite Thermoclear Plus is manufactured by Sabic. This greenhouse film is UV protected. The cord between the 2 sheets will give you an extended lifetime. UV protected. 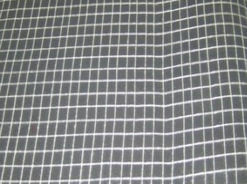 Polycarbonate Sheets are available with many choices of size and material. 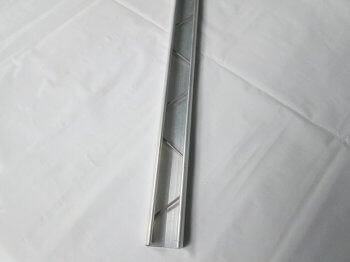 The Base and Wiggle Wire is used to securely fasten greenhouse polyfilm to your greenhouse frame. 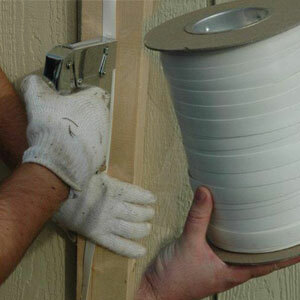 Batten Tape is excellent for fastening polyfilm to a wood greenhouse frame. It can also be used to secure shade cloths.